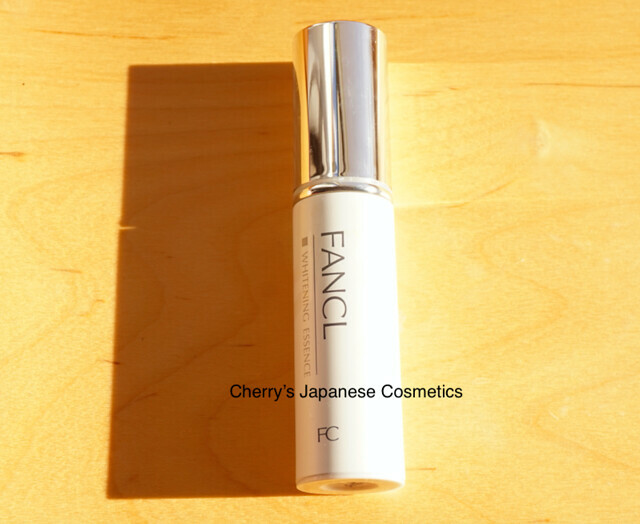 In Summer 2015, Fancl changed the formula of their Whitening Essence. Oh, I forgot to take a photo that there are double cap when you open the cap first time. The system is the same, please see also: How to open FANCL bottles? pumps? tubes? and what this numbers on the box means? Please let me back to my review. Usually I apply this on my finger, and I attache softly the problem points. In this Spring, it was really dry, and my skin was super damaged. Big red dull and some freckles are left… 🙁 So sad. 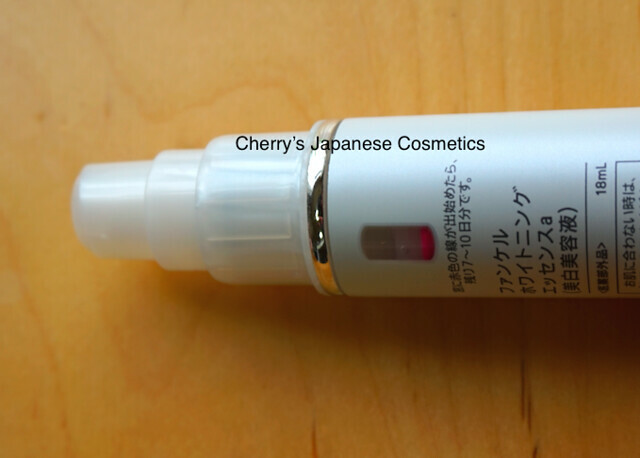 They are near to my eyes, and I often get strong stinger by brightening essence/ serums. I was afraid of that with applying. This is one of the reason why this review is delay. Fortunately, there are no sting. And there are no perfume, and less (maybe no ) oil. I like it. Some people are applying whole face, but I do only for the problem points. There are “window”, and you can see there are red/ pink bar. It is meaning I have already done with more than 2/3 of the bottle. The red bar is coming up and this window will be occupied by the red. I wanted to show you this, and this is another reason why delaying. I know you may wanna know whether it is effective or not. Hmm…. This is not a strong product. This is just a cosmetics. I am feeling it is coming lighter but it may also because of Vitamin C I am taking. Totally to say, if you are looking for brighteners: less oily, no perfume, no stinger for me (sensitive skin), I guess this is try-worth.